Presenting for Career Days with the Ubuntu Women was a blast. It was my first time in an Ubuntu-Classroom chat and I was posting huge chunks causing a scrolling nightmare. It was pretty funny... I'm still learning! Cheri Francis, the Ubuntu woman who coordinates the Career Days sessions, sent me a private IM and was like "SMALLER CHUNKS." I thought it was great. 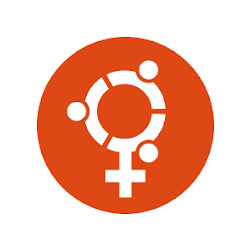 Out of all the groups, Ubuntu Women is really up to some awesome promotion work and I can see a huge impact building the spread of Ubuntu. All the groups together can reach every type of person, and Ubuntu Women is a great example of how the impact of a strong community can influence an idea and a mission. Once again, I'm nothing less than excited to be a part of the Ubuntu community and can't wait to see the other ways I can get involved. The link below has the summary and wrap up of the session. Thank you again for allowing me to be a part of such an outstanding project!